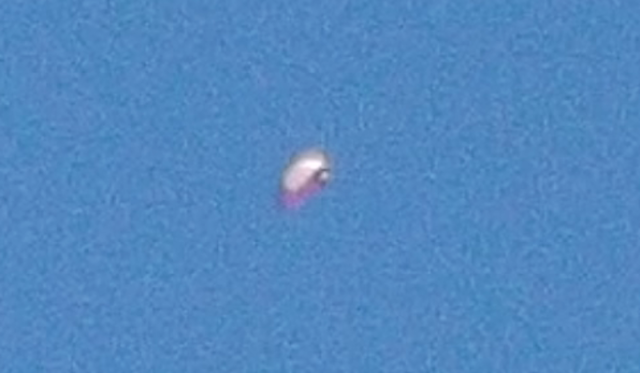 UFO SIGHTINGS DAILY: Metallic UFO Spotted Over East Los Angeles (Hollywood) On Oct 17, 2016, Photos, UFO Sighting News. Metallic UFO Spotted Over East Los Angeles (Hollywood) On Oct 17, 2016, Photos, UFO Sighting News. Lots of UFOs have been observed over the years over LA, and many of them shapeshifting. The most famous event was called the Battle of Los Angeles back in Feb of 1942, when several large metallic oval UFOs the size of football stadiums slowly flew over the city, as Army artillery guns shot thousands of rounds, but the UFO continued on its way, unharmed in any way. This could be a similar, but smaller sized craft. Back in 1942, they came from the ocean and headed towards the Arizona-Nevada area before disappearing. First sighting of white ord was arround 12:47 pm. was waitting for step son to get out of school, reach for my camera but by then has dissappered. went home and arround 2:05 came out went to the car got my camera it was a beautiful day. found some shade and look up to the sky SE. 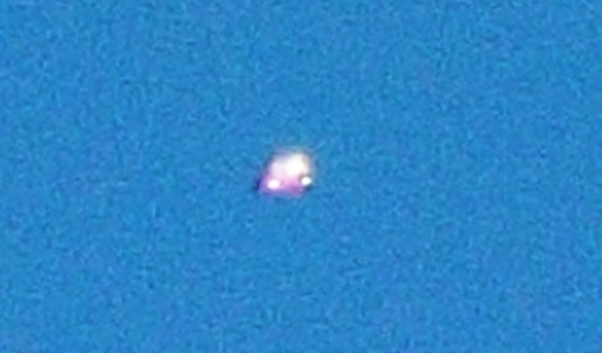 I observed a orb; gold/copper color moving from SE to NE. grab my camera and try to focus on but it was gone in a few seconds. 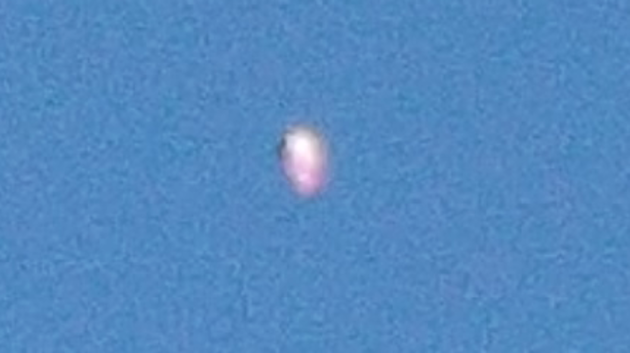 look at my watch and it was 2:07pm look up again and I notice a red /orange glow on the clouds but this time NE so I focus and took the first picture.About 30 seconds later it turn into a glowing white hovering object then I immediately took another 3 pictures before it disappear. So I went inside to review my pictures. Since is not the first time I have experience this. I remain pretty calm and happy, it made my day. then later I decided to report it. Hope you would find this data useful.